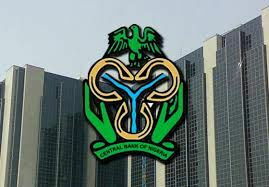 The Central Bank of Nigeria (CBN) has expressed optimism that the sequence of economic growth in the country would be sustained in the months ahead. This was even as the bank barred banks from charging commission or any other fees on the foreign exchange (forex) it provides for onward sales to their customers as personal or business travel allowance, payment of school fees and medicals. The decision was a fallout of yesterday’s Bankers’ Committee meeting in Lagos where it said the move will serve as palliatives for Nigerians who have been buffeted by the harsh economy. Disclosing this after their meeting on Tuesday in Lagos, CBN’s Director of Banking Supervision, Dr. Ahmed Abdullahi, who briefed the press alongside the Chief Executive Officer of FSDH Merchant Bank, Mrs. Hamda Ambah, the Managing Director of Stanbic IBTC, Mr. Deola Shogunle, and the Managing Director of Citibank, Mr. Akinsonwon Dawodu, the optimism in the economy is fuelled by the rising reserves, improved capital market, downward inflationary trend and expected growth in the GDP. On the embargo clamped on the banks from charging commission, Mrs. Ambah warned that severe consequences await any erring bank whose customers file complaints before the Bankers’ Committee on the issue. Recall that the apex bank sells forex to banks at the rate of 357/$1 for onward sale to retail end-users at not more than N360/$1 for invisibles such as BTA, medicals and school fees, among others. The committee also gave its support to the Economic Recovery and Growth Plan (ERGP) of the Federal Government to ensure that it leads to job creation and additional investment in the country. According to Shogunle, who unveiled the committee’s decision on the issue, the three major aspects of ERGP that the Federal Government decided to beam its searchlight on are power and gas; agriculture and transportation as well as manufacturing and processing.